금산 요광리 은행나무는 나이가 약 1,000살(지정일 기준) 정도로 추정되며, 높이 24m, 가슴높이 둘레 12.93m이다. 줄기가 썩어서 동굴처럼 비어 있고 사방으로 자란 가지 중에 남쪽 및 동쪽의 가지는 부러졌는데 그 가지로 3년 동안 밥상을 만들고 관 37개를 만들어 마을 주민이 나누어 가졌다고 한다. 500년 전 이 마을에서 살던 오씨(吳氏)의 조상이 전라감사(현 전라도지사)로 있을 때 나무 밑에 정자를 짓고, 은행나무 정자라는 뜻의 행정(杏亭)이라고 불렀는데 한때 금산 행정의 은행나무란 이름이 이렇게 불리워지기도 했다. 현재는 행정헌(杏亭軒)이라는 육각정자가 있다. 전설에 의하면 머리가 둔한 아이를 밤중에 이 나무 밑에 한 시간쯤 세워두면 머리가 좋아진다고 하며, 잎을 삶아서 먹으면 노인의 해소병이 없어지고, 나무에 정성 들여 빌면 아들을 낳는다는 이야기도 있다. 이 외에도 나라와 마을에 무슨 일이 생기면 소리를 내어 알려준다는 이야기도 전해진다. 이와 같은 전설을 믿는 사람들은 음력 정월 초사흗날 자정에 나무 밑에 모여 새해의 행운을 빌었다고 한다. 금산 행정의 은행나무는 오랜 세월 동안 조상들의 생활과 문화 속에서 살아온 나무로 문화적 자료로서의 가치와 오래되고 큰 나무로서 생물학적인 가치도 높아 천연기념물로 지정·보호하고 있다. 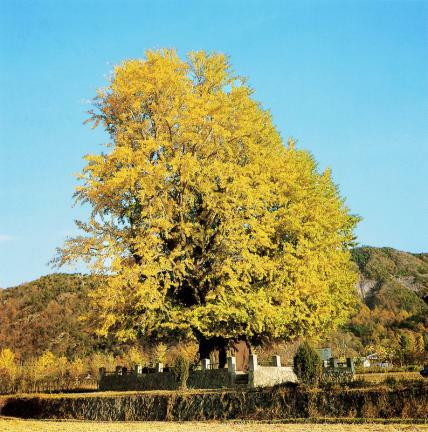 A ginkgo tree can be as old as a fossil. 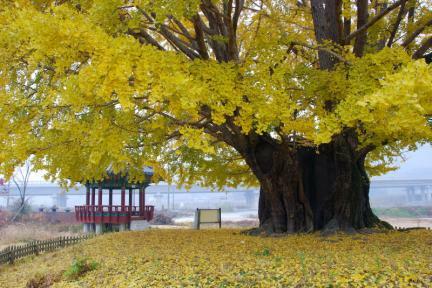 Found in Japan, China and Korea, the Ginko tree was introduced to Korea along with Confucianism and Buddhism from China. In fall it produces beautiful leaves which are resistant to insect damage. 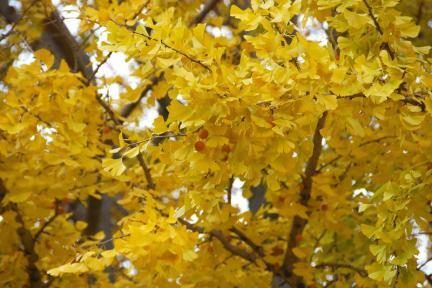 As ginkgo trees provide broad leafy shade, they are often planted in arbors or by roadsides. 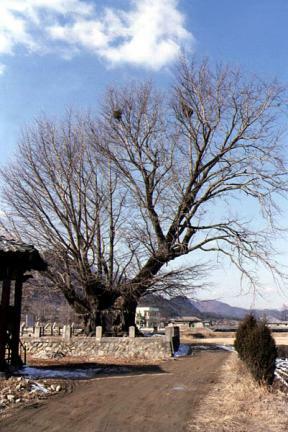 The ginkgo tree of Yogwang-ri in Geumsan is about 1,000 years old. 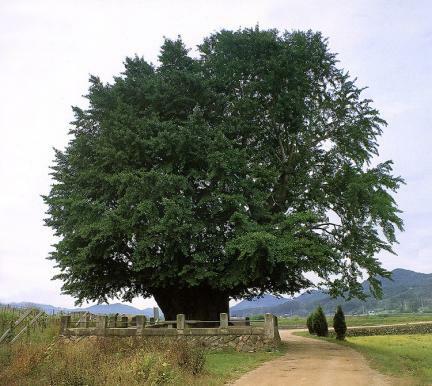 It is about 24m in height, and has a girth of about 12.93m. It is hollow like a cave as its trunk has rotted. 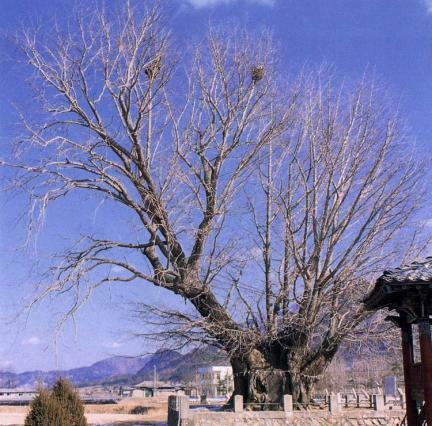 Although the tree spread nicely, the branches on its south and east sides were broken, and the villagers used them to make tables and 37 coffins over a three-year period. 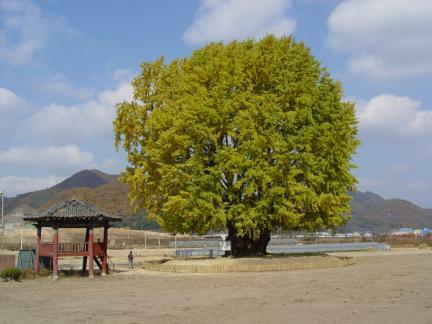 About 500 years ago, an ancestor of the O family (apparently a governor of Jeolla-do) built a pavilion under the ginkgo tree and named it Haengjeong, meaning “the ginkgo tree arbor". 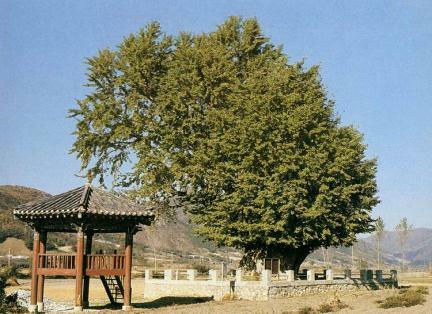 The arbor is no longer there, but the hexagonal Haengjeongheon Pavilion was built on the site. 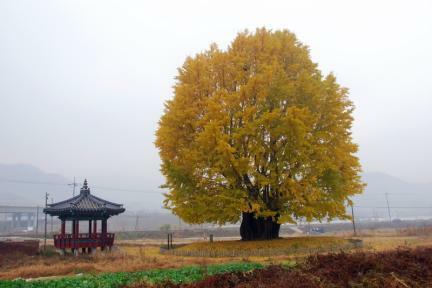 According to a local legend, if a dull child stands under this ginkgo tree at night, he will become intelligent; if an old man eats the boiled leaves of this tree, he will stop coughing; and if a woman who wants a baby prays to this ginkgo tree, she will give birth to a son. 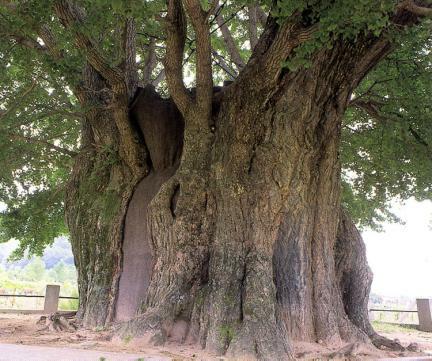 Furthermore, the tree is said to inform the village whenever misfortunes are about happen in the village or the country by making certain sounds. Local people who believe these things pray to the tree for good luck at midnight on January 3 on the lunar calendar. 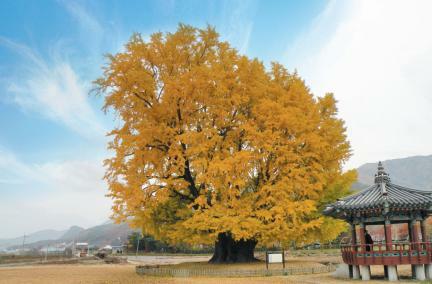 The ginkgo tree in Geumsan has been well preserved for many years, making it an important material for biology research. 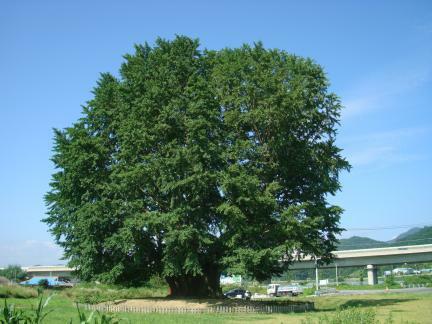 It has been designated as Natural Monument (No. 84) for its protection.